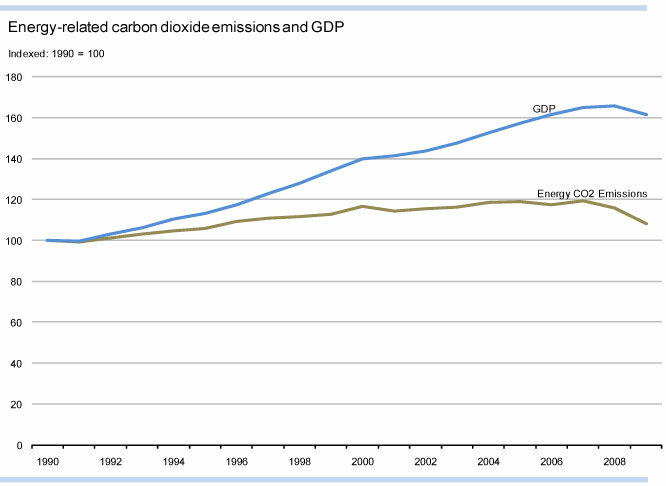 Energy-related carbon dioxide emissions and GDP. Chart via the U.S. Energy Information Administration. Welcome to another installment of “What’s Schipper Saying?”, a collection of comments about sustainable transport, cities and fuel efficiency made by Lee Schipper, a senior research engineer at the Precourt Energy Efficiency Center of Stanford University and the founder of EMBARQ, the nonprofit that produces this blog. Schipper, a.k.a. Mr. Meter, leaves a trail of commentary on popular blogs across cyberspace. We track him down — so you don’t have to — and offer a round-up of his latest responses to hot topics in the world of sustainable cities. Some countries can do this roughly 18 months to two years after the end of each year. We can’t…. Read more about why the government’s attempt to collect is “foggy” here.